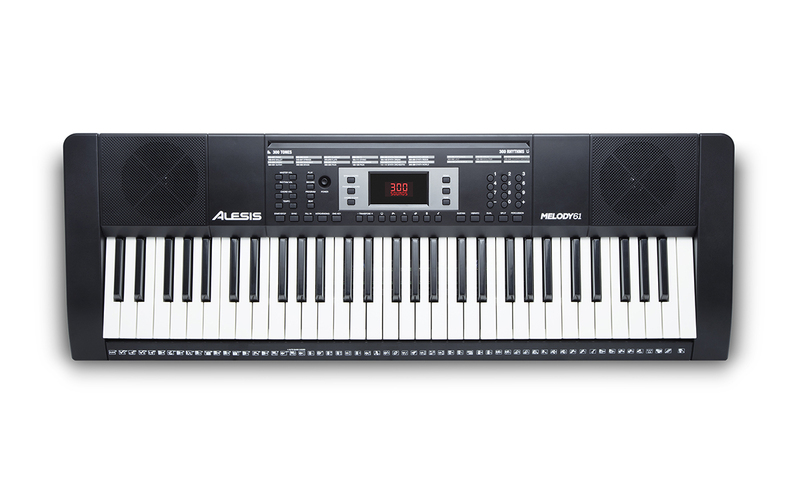 The Alesis Melody 61 MKII keyboard has 61 piano-style keys, built-in speakers, and 300 built-in sounds covering a wide variety of instruments--pianos, strings, brass, woodwinds, percussion, mallets, guitars, synths, even sound effects! You can layer multiple sounds together in “Dual” mode, or split two sounds across the keyboard in “Split” mode. 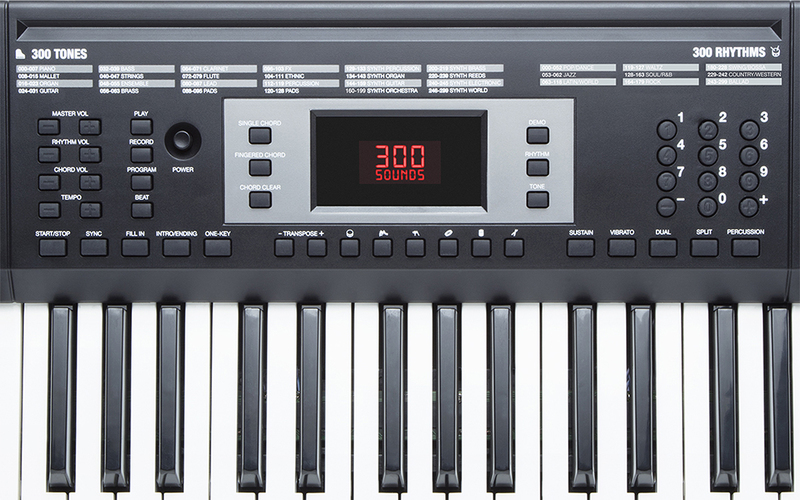 Melody 61 MKII also has 40 built-in demo songs and 300 built-in accompaniment rhythms that enable you to instantly create songs in a wide variety of genres. You can even record your own songs using the “Record” mode! 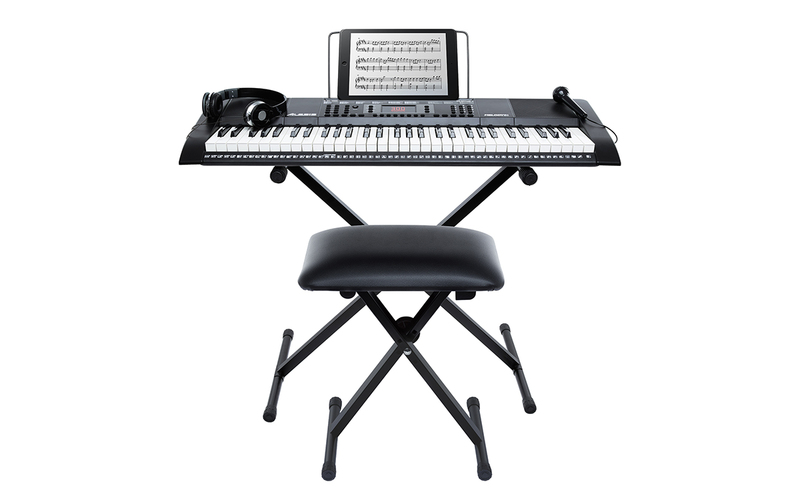 Melody 61 MKII includes every accessory that you need to get started and learn to play today. 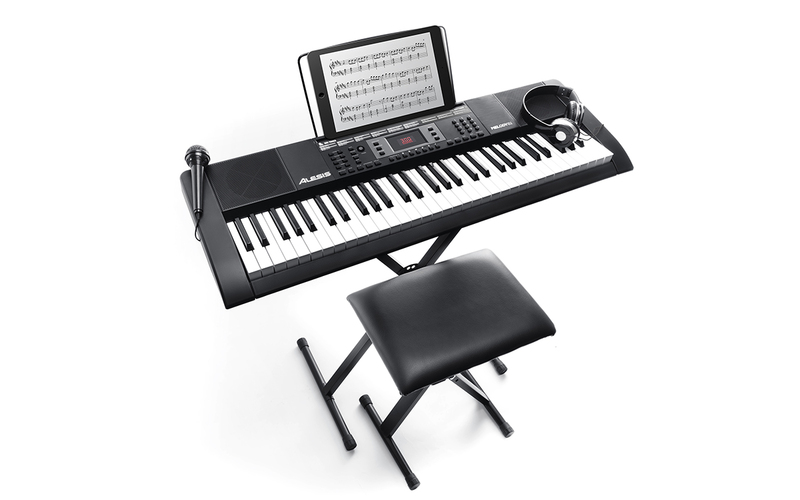 Melody 61 MKII comes with an easy-to-assemble stand, a bench with three adjustable height settings, headphones that automatically mute the speakers for private practice, a music rest for holding sheet music, a power adapter and even a microphone for singing along while you play! 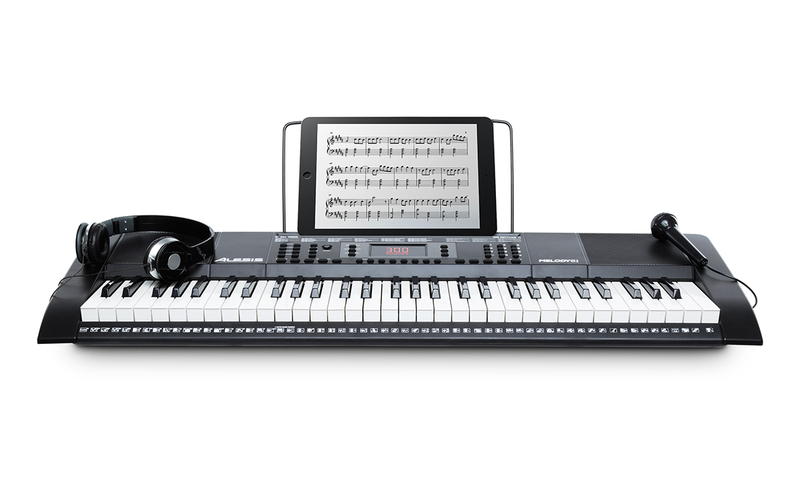 Skoove is the easiest way to learn piano—featuring in-depth online piano courses that adapt to you and give you feedback. Develop your repertoire on your own time, at your own pace with a curated catalog filled with everything from current chart hits to classical music. Need a little help? Skoove’s experienced team of musicians is on hand with one-on-one support to answer any of your questions. New, exclusive lessons are added every month so that you can keep expanding your repertoire with new music as well as up your piano game with new music theory tips and tricks.